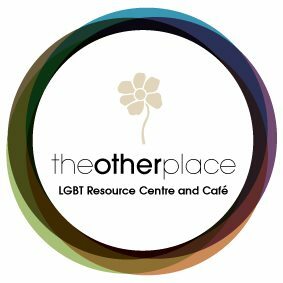 The Other Place LGBT Resourse Centre and Cafe are looking for a Cafe Worker. The Community centre worker will be based in the café working 19.5 hours per week and their role will entail food preparation, food service, cash handling, locking up, Answering calls, cleaning and helping the community with their queries. Hours include evening and weekend work. The Other Place Book Club is a book club that should appeal to all LGBT readers. The book selection will range from a wide selection of genres both contemporary and classic. 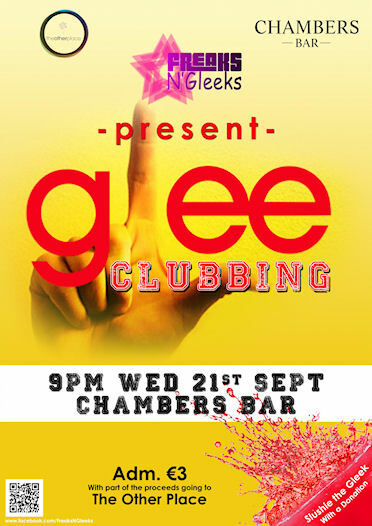 Every second month will have a LGBT themed book, followed by a standard book. Each person will have a 5 minute floor to talk about his/her feeling on the book. Quotations of favourite pieces can be made. After everyone has said their piece, the discussion is open to the floor on general commentary on the book. 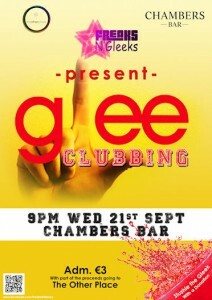 The chair of the club will endeavour to let everyone have an equal part in this discussion. The meeting finishes by choosing the next month’s book and confirming the date. Family Values is a lighted-hearted comedy centred around the Conway family and the fathers’s fear that his son might be gay. There is a sense of delightful relief when the son, Fergus, appears to have found the woman of his dreams, however, his shocking relevation at the plays climax comes much to his fathers despair. 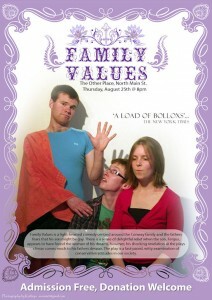 The play is a fast paced, witty examination of conservative attitudes in our society.